Last night, my friend Brian and I went to see the Def Leppard concert we saw back in April on the big screen. I didn't know what to expect because I had never been to a "concert" movie before. For Brian and I it was a trip down memory lane and we very much enjoyed it. It was fun reliving the expereince and I got quite excited and hooted and hollered just like I did at the live concert. For others in the theatre who didn't get to Las Vegas for the show, it was a great opportunity to experience what they missed. This event is coming out on dvd/cd later this month, and I've already pre-ordered it. 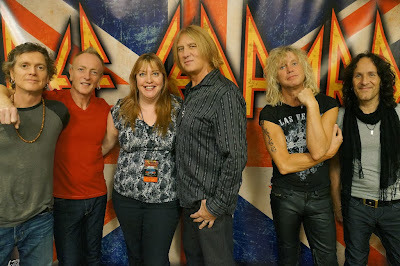 I've also heard the rumors that the band is going back to Las Vegas in 2014, if they do, Brian and I will be going back too! 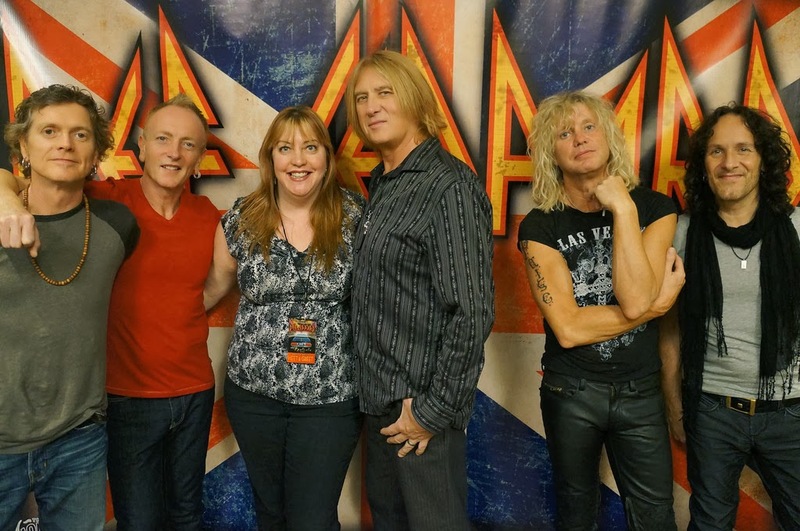 To read about my time in Las Vegas earlier this year, click here and to read all about the Def Leppard VIP package I did, click here. Me with the band back in April, what an experience.